Check out the new trailer for Red Christmas. You can read our review here and you can read our interview with director Craig Anderson here. 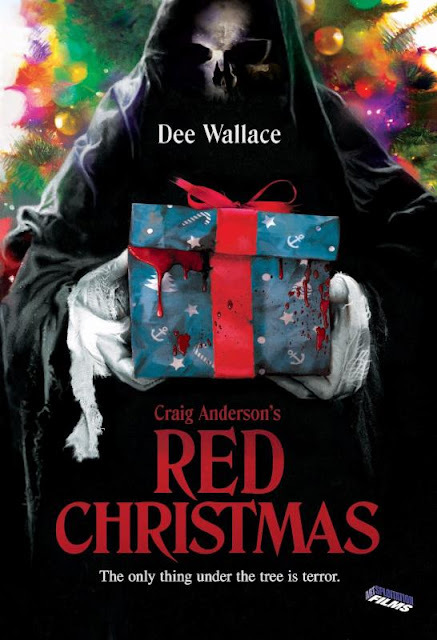 Artsploitation has unwrapped a gift for all the bad boys and girls with the upcoming limited release of the Australian horror film Red Christmas. Veteran television director and actor Craig Anderson makes his feature debut with Red Christmas, combining the banal horror of family gatherings with the issues of abortion, feminism, ethics, religion and privacy, with a blood-splattered twist on what happens when secrets refuse to stay dead. Genre icon Dee Wallace (The Hills Have Eyes, The Howling, E.T., Cujo, Critters) stars as the stressed-out mother of a squabbling family, gathered together in a remote Outback estate on Christmas Eve. Their petty dramas threaten to blacken the holiday until a mysterious and deformed stranger appears at the door seeking bloody vengeance. Red Christmas will open in Los Angeles August 25th for a weeklong run at the Laemmle Music Hall, and expand to screens in San Francisco, Denver, Dallas and more over the coming weeks.